The stars are indifferent to astronomy as I am to this music. The value of a good, catchy rock song is a timeless one. There's something to be said for an intricate, complicated piece of music, but there are some days where a straightforward, hummable track hits the spot just right. As popular music's history has progressed, there have been trends in both the catchy and complicated that have interweaved with each other, but prior to the late 1960s, the music that dominated the airwaves and the grooves of vinyl records were individual, catchy tracks. The notion of an album as a total, self-contained piece of art wouldn't develop until works like the Beatles' Sgt. Pepper's Lonely Hearts Club Band and the Mothers of Invention's Freak Out!. Popular music of all genres has made significant strides since then, but throughout all that time catchy, accessible music has never stopped being desired. There are many bands one could go to, to fulfill the desire for a tuneful track, but amongst the myriad candidates Nada Surf is likely a good choice. Since their inception with 1996's High/Low, they've dealt in a consistent brand of guitar-driven pop/rock, with minor usage of highlights from the indie rock playbook to keep their sound from sounding too much like typical radio fare. The band works best in a mid-tempo atmosphere, with liberal usage of clichéd choruses ("It's never too late for teenage dreams," lead singer Matthew Caws muses on "Teenage Dreams") and lightly distorted guitars to drive home the memorable hooks. 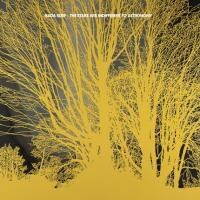 Though the title may seem to attribute a lot of gravitas to the band's newest LP, make no mistake: this is the same Nada Surf, doing what the band does best. Astronomical references pop up more than once on the album, but on only a superficial level. When Caws sings, "The stars are indifferent to astronomy / And all that we think that we know," the lyric doesn't sound like deep contemplation, but instead just another line to sing along to. The words are there, but they don’t seem to mean much. The band's interest is not exploring heavy concepts but instead making fun music. The Stars Are Indifferent to Astronomy, while successful in playing to the band's strengths, also suffers quite a bit for doing so. The album's 10 tracks, while when taken individually are fairly good rock tracks, blend together homogeneously when the record is taken as a whole. There are no fast tracks, nor are there any slow ballads. "When I Was Young" begins to sound like the album's version of the latter, only to pick up into the guitar-driven sound that overwhelmingly dominates the record halfway through the track. The band's metronome on this record is permanently set at mid-tempo. As a result, upon multiple listens, the album begins to sound dangerously close to the same track replicated 10 times over. The one track being replicated may be a catchy and inoffensive one, but it's inoffensive to a fault. The band sounds like they're having a good time, sure, but the fun of a catchy rock song wears thin when done nine times in a row. When the album veers somewhere in the vicinity of something deeper than the superficial rock that forms the record, the results are predictably shallow. The Truffaut-referencing "Jules and Jim" may display the band's perfunctory knowledge of early '60s French cinema, but any deeper knowledge ends there. The half-sensical chorus lyric "I am lost in my mind / When you go to sleep" only drags the song down even further. The broader attempt to make the album somehow relate to astronomy comes off as half-baked as well -- I'm not quite sure what "The Moon is Calling," but to be honest I'm not sure the band knows either. Now, make no mistake: The Stars Are Indifferent to Astronomy is an incredibly tuneful record. Every track has some hook that will likely bounce around in one's head for at least a couple of hours. The problem with the record, however, is just that: it's only tuneful. The band sticks to their guns but in doing so produce a record that's so nonprovocative that the music doesn't truly assert itself. The record doesn't demand close scrutiny or deep analysis; all it really asks is after that one listen, remember the melodies, and sing along. Obviously, the band isn't looking to make anything that will forever change the musical landscape, but that's not what's necessary to make a record like this good. A catchy mid-tempo rocker can be good, but when there are 10 of them in a row the catchiness wears off and all that's left is bland.